UK Blues Awards nominee plays acoustic blues and with his electric band. 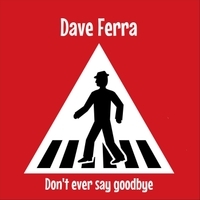 UK Blues Awards nominee Dave Ferra plays acoustic blues and with his electric band. "an absolute master guitarist and singer...the perfect 'front man'....Dave is fully aware that people come out not just to listen, but to have a good time. And a good time they had!" - Richard Dunning, The Tuesday Night Music Club.